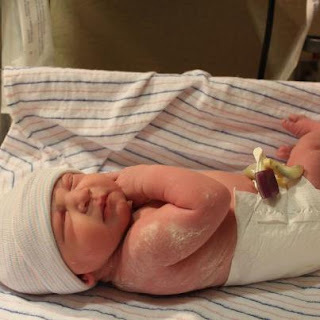 Sacred Mommyhood: It's a Girl! Welcome Grace Makenna! 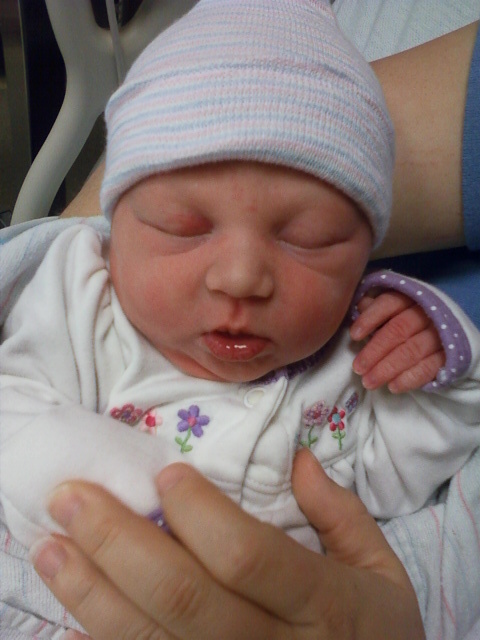 She was born at 9:55pm on November 8, 2012. She weighs 7 lbs. 3 oz. and is 18 1/4 in. long. We are praising God for this gift, and thankful for her safe arrival and protection over momma during delivery! She's beautiful! Thank you for sharing, I've been wondering how soon you were due! I am just seeing this now -- and she's a week old already!! (Can you believe I'm on the computer that infrequently!?) My Victory Joy weighed the same. For me that was a pretty tiny baby (you too if I'm remembering correctly!) but it was lovely. Hope all is going well, adjustments are smooth, and baby sleeps like an angel. ;) Looking forward to seeing the whole story when you have a chance to post it. Thanks Kristin! It's always so good to hear from you! I've written part one of the birth story. Just need to edit and finalize. We're adjusting pretty well. Grace is a good sleeper so far! Hope all is well with your family! Blessings!